April Fool’s Day is a time for brands to show off their creative, lighthearted side – even if their personalities are just as fun in general! No matter how many times April 1st comes around, consumers would still get tickled by the fun pranks campaigns and new initiatives rolled out from brands across a range of industries. This tech giant tops pretty much most April Fool’s pranks list year after year; and just to illustrate how elaborate they are, they even have a Wikipedia page dedicated to all their pranks and hoaxes, dating back to the year 2000! From Google Gulp in 2005, a beta Animal Translator in 2010, a Google Maps: Pokémon challenge in 2014, to a ‘Pacman view’ of Google Maps last year, the Google team’s creativity clearly knows no bounds. They’ve apparently even got a head start in the April Fool’s prank game this year by creating a ‘Space Reviews’ section in their developer console, which apparently allows astronauts to send reviews from outer space! We can’t wait to see what other out-of-this-world pranks these guys have up their sleeves. Our favourite lollipop company likes to live a ‘Life Less Serious’, and if their quirky, colourful posts on their Facebook page are anything to go by, you’d know for sure that their April Fool’s pranks would be just as flavorful. 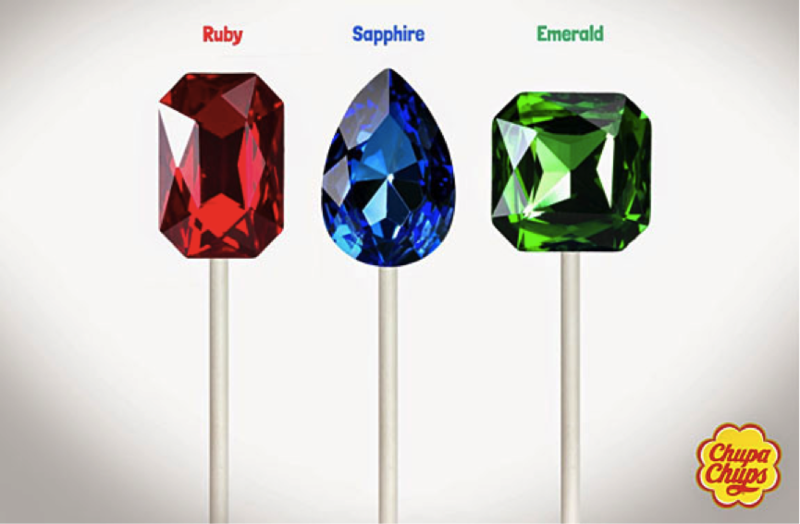 In a move that mirrored the hunt for Golden Tickets in Roald Dahl’s Charlie and the Chocolate Factory, Chupa Chups claimed to have released 5 precious stone ‘lollipops’ worldwide in 2014, which drove many candy fans into a frenzy. Alas, the initial sugar rush the campaign caused eventually crushed numerous candy hearts all over, when it was revealed that it was just a prank. Other notable mentions include their Lollipop Street Artist prank from 2013 (which went organically viral, as revealed by a surprised member of the campaign team), and the release of their new Century Egg flavour lollipop last year (…we’ll pass, thank you very much). With its bright, sunshine personality and a Scootitude to boot, you’d guess that local low-cost carrier Scoot would be pretty fun when it comes to April Fool’s. 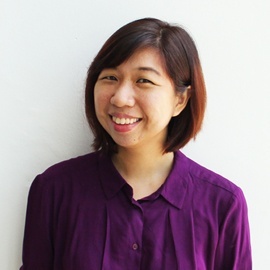 They certainly are – they kicked off their pranks in 2012 with a ‘domestic service’ connecting Changi with… Paya Lebar, followed by a ‘Tap-and-Scoot’ scheme in 2013 that allowed passengers to directly board their flight from their bus or MRT ride (revealed as a joke eventually, of course), and a Scoot YogaZone in its Singapore to Hong Kong flight in 2014. Sadly, one passenger failed to see the humour in 2014 when a Bangkok flight taking off on April 1 got unceremoniously cancelled. Oops… definitely not funny. 4. Audi: Fast food has never been faster! Amongst all the pranks we’ve seen over the years, we wish this one were real! 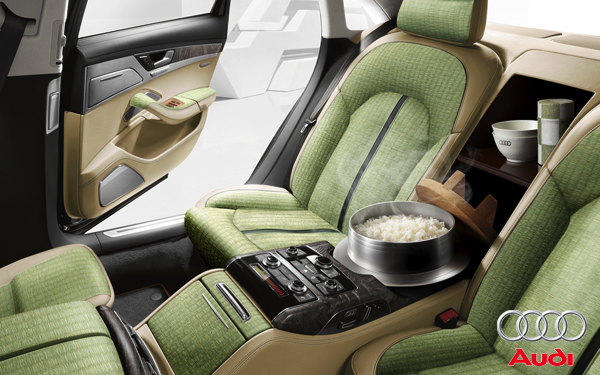 German automobile manufacturer Audi took the phrase ‘meals on wheels’ one step further last year, with the exclusive Japan launch of their Audi A8 5.5. According to the write up on their Japanese website, one special feature was created ‘in honor of the Japanese rice-eating culture’ – the ‘world’s first rice cooker in the rear sheet console’ that comes with ‘multiple cooking options’ via a touch screen panel, to ‘customize any (kind of) rice to their own taste’. Audi should probably seriously consider making this model a reality: with rice being highly consumed in countries across Asia (and with China having the highest consumption in 2014/15 at a whopping 148.4 million metric tons), this idea could probably help the company reap a considerable – if not, bountiful – harvest in the region. Even a local educational institution wants to get in on the day of pranks! With their practical jokes dating back to 2010, ‘Singapore’s most vibrant polytechnic’ has had their fair share of laughs on April Fool’s. 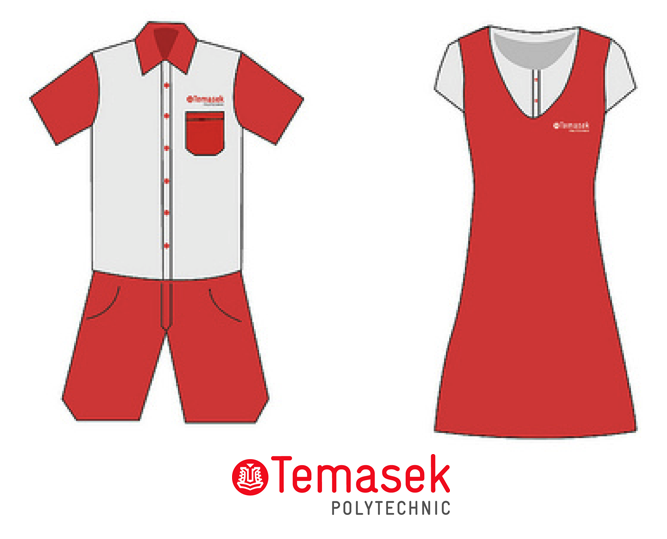 Aside from reports of the school flooding in 2010 (though it’s apparently not too far from the truth), to an ‘important press release’ announcing the increase of its full-time course duration in 2011, the prank that clearly took the cake was the announcement that Temasek Polytechnic would be implementing the practice of wearing school uniforms. 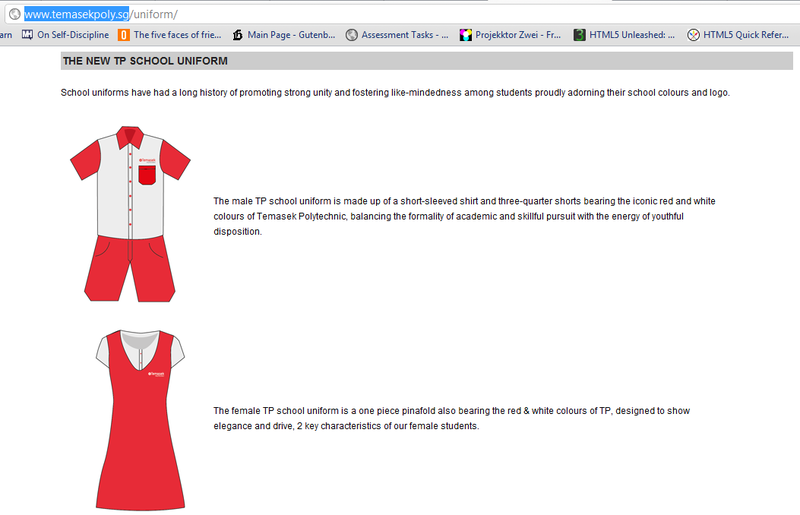 According to a specially created webpage featuring the announcement, the red and white uniforms were to have promoted values such as ‘skillful pursuit’, ‘youthful disposition’, ‘elegance’ and ‘drive’. However, these values were also probably the last thing on the mind of every student who valued self-expression (and comfort, probably) much more. This ‘new initiative’ caused a mild uproar over social media and was also reported on news platforms (along with being infamously STOMPed). Thankfully, the polytechnic came clean in a blog article posted on their official website, but not after ‘trolling [the] students… [and the] nation’. They seemed pleased that their students ‘strongly believed in [their] way of life, and… were willing to speak up for it’. “We couldn’t have asked for a better student body to prank, because you couldn’t have made us prouder,” the blog article concluded. The school may have since graduated from their prankster side, seeing how that was the last known year of them pulling practical jokes on the students. In all seriousness, we can’t wait to see how these brands will April Fool us next… simply because they’re so darn good at it! Pranks aside, April Fool's is also a great opportunity for brands to go beyond a mere transactional relationship with their audiences, and connect more meaningfully with them. When done right, it may even develop into a deeper sense of loyalty.